Nordhavn is a specialised supplier of products, concepts and services for practically any diesel engine installation. Whether you need a large, complex total solution or quick delivery of spare parts, we always deliver the very best. This is why Nordhavn is a strong and reliable partner. Our products are characterised by a consistently high quality and represent the latest, technological advances. 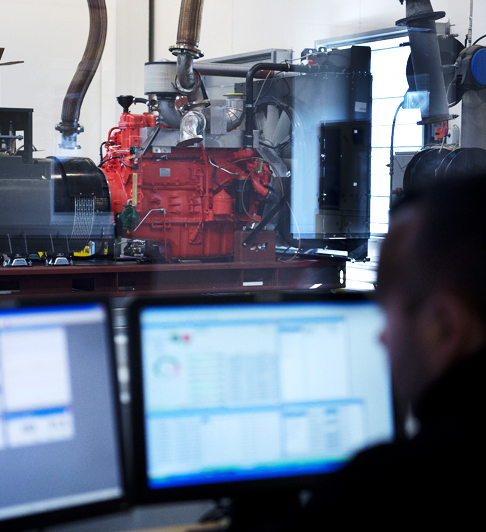 Our employees are well-educated, very service minded and have many years of experience with engines and generator systems. At Nordhavn, we have one of the largest and most recognised test centres in the country. We are approved by leading recognised classification societies to perform classification and certification. We comply with all emission regulations. This means that we always deliver the same, consistently high quality. Nordhavn has activities all over the world and are represented in the Nordic countries, Eastern Europe, Western Europe, Turkey and Asia.